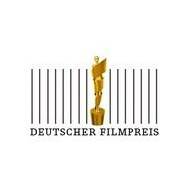 The screenplay of our SciFi Dramedy ‘THE GAP’ has just been nominated the German Screenplay Award 2010. This is the third time that Roman Beilharz’ intriguing screenplay has convinced judges to consider it in an internationally relevant competition: it has been a winner in 2006 at the Great Lakes Film Festival and has been nominated for the Hessen Screenplay Award in 2007. Next thing in line is the production of a trailer to secure the funding of this outstanding movie, which we are developing in cooperation with Graham Associates, London and Mario Domina of ThunderBall Films, LA. The screenplay of our SciFi Dramedy ‘THE GAP‘ has just been nominated the German Screenplay Award 2010. This is the third time that Roman Beilharz’ intriguing screenplay has convinced judges to consider it in an internationally relevant competition: it has been a winner in 2006 at the Great Lakes Film Festival and has been nominated for the Hessen Screenplay Award in 2007. Next thing in line is the production of a trailer to secure the funding of this outstanding movie, which we are developing in cooperation with Graham Associates, London and Mario Domina of ThunderBall Films, LA.